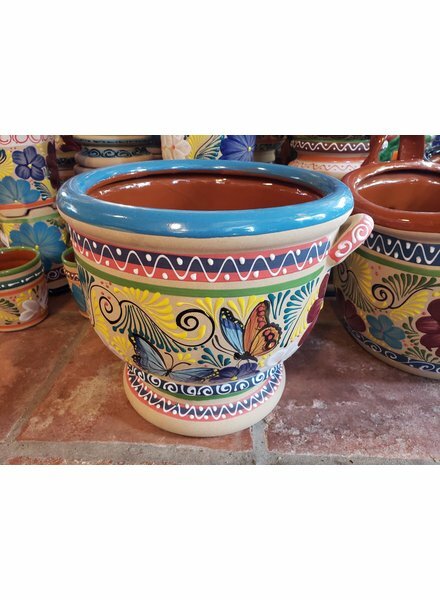 HAND PAINTED, HIGH FIRED TALAVERA PLANTER. 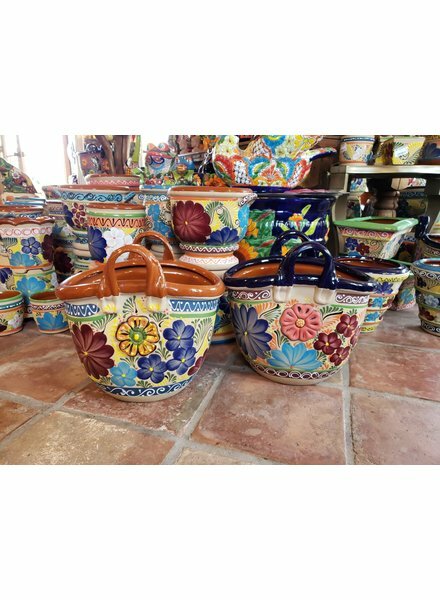 BEAUTIFUL AND UNIQUE, HAND PAINTED, HIGH FIRED MEXICAN TALAVERA. 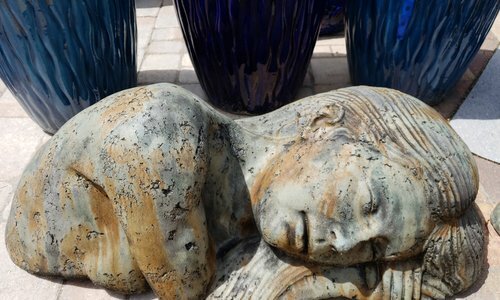 ABLE TO WITHSTAND FLORIDA SUNSHINE AND HEAT, WITH DRAINAGE HOLES TO PLANT DIRECTLY IN. 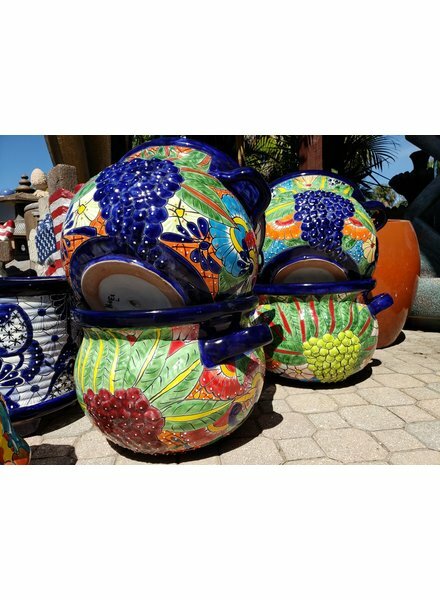 MAKE YOUR LANDSCAPE DESIGN A LANDSCAPE STATEMENT WITH THESE COLORFUL POTS. 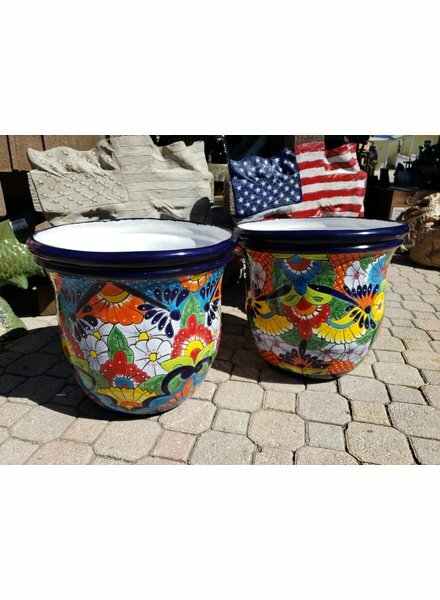 HIGH FIRED, HAND PAINTED MEXICAN TALAVERA PLANTER. 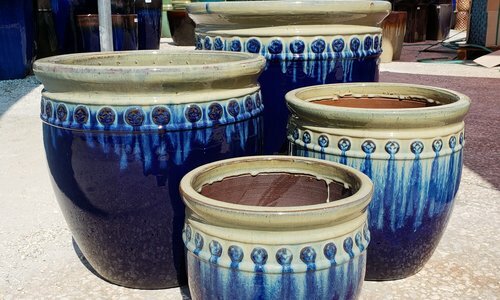 EXQUISITE GRAPE DETAIL ADDS DIMENSION AND DESIGN. 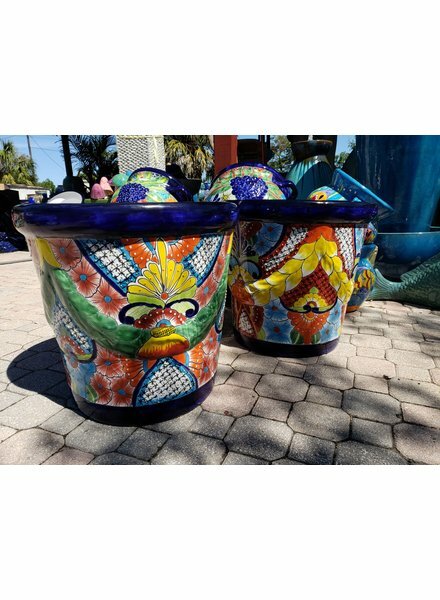 PLANT DIRECTLY INTO THIS PIECE AND PLACE WITH CONFIDENCE IN THE FLORIDA SUNSHINE, THIS IS A PLANTER THAT WILL LAST THE TEST OF TIME. 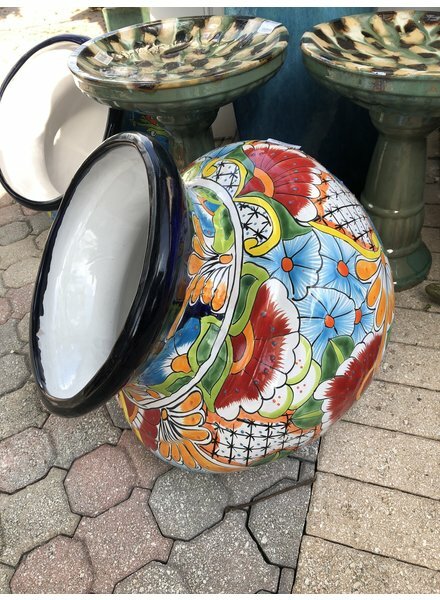 HIGH FIRED, HAND PAINTED TALAVERA PLANTER. 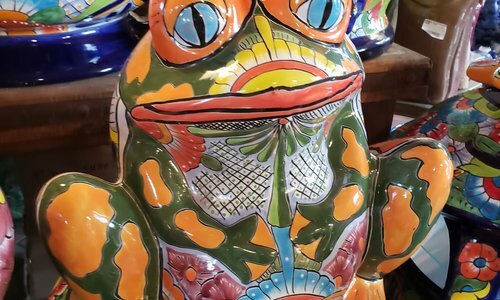 ABLE TO WITHSTAND DIRECT SUN AND RAIN, PERFECT FOR FLORIDA SUMMERS! 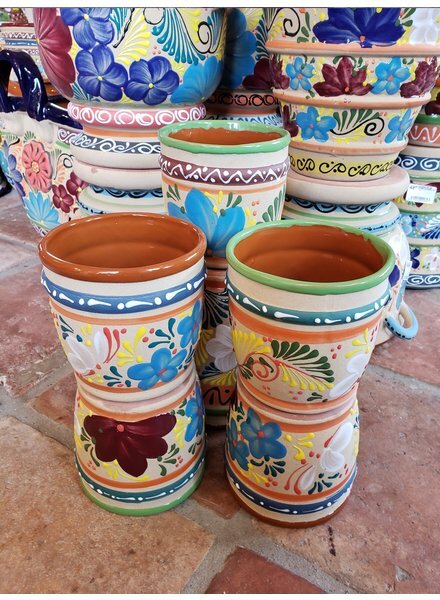 DRAINAGE HOLES IN EACH PIECE ALLOW FOR DIRECT PLANTING. 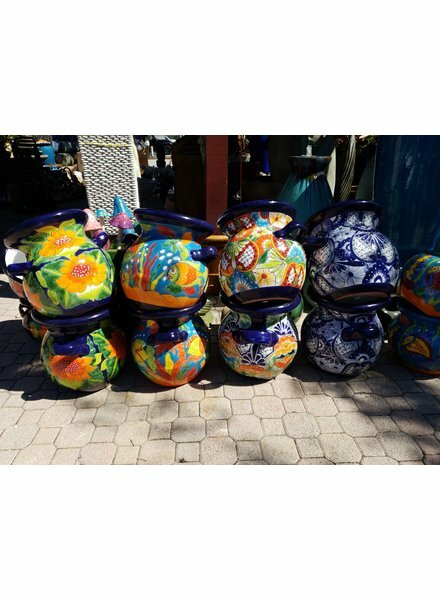 ADD A TOUCH OF COLOR TO YOUR GARDEN, MAKING YOUR LANDSCAPE DESIGN A LANDSCAPE STATEMENT!